Mortgage rates have been rising steadily throughout 2018, which is bad news for homeowners and prospective buyers alike. Below, we’ll look at these rate rises, find out why they are problematic, and what you can do to overcome the difficulties they may present. Why Do Mortgage Rates Rise? The most common reason for mortgage rate rises is interest rates. When the Federal Reserve raises interest rates, it becomes more expensive for banking institutions to borrow from one another. In the vast majority of cases, this leads to banks passing the extra cost on to customers. Adjustable-rate mortgages (ARMs) and home equity lines of credit (HELOCs) will find that if interest rates rise, the amount they pay for their mortgage also rises. While interest rate rises are arguably the largest influence on mortgage rate rises, they are not the only contributing factor. Other aspects of Federal Reserve monetary policy also influence mortgage rate rises. These policies include the buying and selling of government bonds and other securities, and this influence means that rises can impact even fixed-rate mortgages. Are Mortgage Rates Currently Rising? The benchmark 30-year fixed rate mortgage rose from 5.04% to 5.06%. The rate was 4.10% just one year ago. The average 15-year fixed mortgage rate rose from 4.41% to 4.38%. A 30-year mortgage costs less per month, but tends to have a higher interest rate. A 15-year mortgage costs more per month, but benefits from a lower interest rate to offset the extra payment. So while both 30 and 15-year mortgages are the same type of mortgage – fixed – they have different financial implications, hence the different interest rates. Moving away from fixed mortgage rates, the picture is a little more complex. For example, recent figures showed that the 5/1 adjustable-rate mortgage fell from 4.39% to 4.38%. However, the rate has been rising for much of the year. So homeowners are still paying more than they were in 2017. Longer-term data may show the most recent figures to be a blip rather than a reversal of trends. What Are The Consequences of Higher Mortgage Rates? The most obvious consequence of higher mtg rates is the impact on existing homeowners. When mortgage rate rises, the amount that owners have to pay for their mortgage rises accordingly. As a result, it instantly places extra stress on household budgets. Besides, homeowners who may have been considering moving home soon may defer these plans, as they are now paying more for their existing mortgage. As well as impacting existing homeowners, rate rises are also bad news for those looking to purchase their first home. If the rate is rising, many prospective buyers worry that the cost of obtaining their mortgage could become untenable. Finally, it’s also worth noting that both existing and prospective homebuyers will feel a general squeeze to their finances during times of mortgage rate rises. As we’ve discussed, mortgage rate rises tend to track interest rates – if interest rates go up, so do mortgages. However, mortgage rate is far from the only financial product impacted by rate rises. Standard borrowing, such as credit cards and loans, also rise in line with interest rates. If people are paying more to borrow money throughout their financial affairs, they have less money. Hence, buying a new home can drift from their reach. How Will Mortgage Rates Change Over The Next Six-to-Twelve Months? The news isn’t great, sadly. The Federal Reserve looks set to continue to raise interest rates over the course of the next few months. Many are predicting there will be one more rise in 2018 and a further two in 2019. If these interest rate rises do occur, then – as discussed – mortgage rates are set to follow suit. This is particularly worrisome news for adjustable-rate mortgages, which track the base interest rate. Fixed rate mortgages are not set to fare much better, with Freddie Mac predicting that 30-year rates will average 5% during the first quarter of 2019. Admittedly, there is some disagreement with this assessment. Fannie Mae, for example, believes that rates will start 2019 at around 4.6% and remain around this level for much of the year. The problem with predictions is that they are just educated guesses. Every forecast – both good and bad – has to be taken with a pinch of salt. So, what can we say conclusively? The overall trend indicates mortgage rates have been rising. The vast majority of economists predict that the interest rates will continue to rise. These two factors suggest future rises cannot be ruled out, and could, in fact, be deemed likely. The most obvious solution is to look for a 15-year mortgage. As we touched on above, 15-year mortgages benefit from lower rates when compared to 30-year deals. While 15-year mortgages do mean higher monthly payments, if you have the budget to accommodate this, you’ll benefit considerably from a lower overall rate. What Can Homeowners and Prospective Buyers Do about Rate Rises? The most obvious solution is to look for a 15-year mortgage. As we touched on above, 15-year mortgages benefit from lower rates when compared to 30-year deals. While 15-year mortgages do mean higher monthly payments, if you have the budget to accommodate this, you’ll benefit considerably from a lower overall rate. You can use the ANmtg mortgage calculator to see how much you could save with a 15-year mortgage, and how this would impact your monthly repayments. In addition, it’s also more important than ever to truly understand your mortgage and its potential implications. Mortgages are confusing, and often utilize jargon and terminology that few people have ever encountered before. If you’re looking for a Chicago mortgage in future, then it’s vital to do your homework and understand exactly what you will be signing up to. It’s also helpful to work with the best mortgage broker Chicago has to offer, so you have expert advice guiding you through the process. Naturally, we would like to think that you can turn to us for all the advice and assistance you need when obtaining a mortgage. 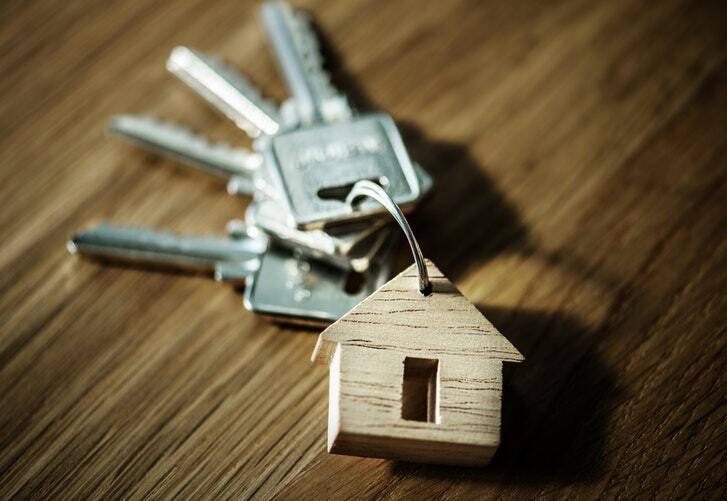 We at A & N Mortgage Services have a vast range of experience in helping people seek a Chicago mortgage that suits their budgets and takes account of issues such as rate rises. For more information on the services we provide, please do not hesitate to get in touch. Do Mortgage Rate Rises Make Home Ownership Unattractive? So far, we’ve painted a fairly dark picture of mortgage rates and their impact on homeowners and prospective buyers. Given the circumstances, it’s natural to wonder if perhaps it would be better to rent rather than buy. However, this simply isn’t the case. Are current mortgage rates a cause for concern? Yes. Are rates likely to increase in future? Yes again. Therefore, is renting a property, a sounder financial investment than buying? No. Even in a somewhat mixed climate, owning a property is still a far preferable economic choice than renting. Yes, people are paying more on their property now than they were 12 months ago, but at least it’s their property – it’s still an asset. Renting means you are paying someone else’s mortgage, with nothing to show for it. It is also worth considering the fact that landlords will also experience the mortgage rate rises as detailed above. In the vast majority of cases, they will pass this rise onto their tenants. Given that rental prices have already hit record highs this year, the prospect of further rises is deeply concerning. Finally, landlords passing rate rises onto tenants also presents a false economy. If you choose not to buy for fear of mortgage rises, you could find yourself still paying more to combat these rises. In other words, it’s just your landlord’s mortgage, rather than your own, that you’ll be paying. Is Now Really a Good Time to Buy a Home? Even if you agree that buying is definitely better than renting, the current landscape may give you pause. Given that rates are rising, and could rise further, is now really the right time? Wouldn’t it be better to wait for rates to stabilize or even fall? Unfortunately, attempting to wait in the hopes of avoiding rate rises is a huge gamble. Yes, rates might fall, but they also might rise. As we’ve seen, further rises seem, in fact, to be far more likely. There’s no sign of a correction to mortgage rates on the horizon and this, coupled with the fact that house prices are continuing to rise, buying now is the better choice. There is no doubt that the mortgage rate rises and changes demand study from the vast majority of homeowners and those looking to buy in future. As a result, it’s important to consider options and seek the best possible deal in the current climate, with further rate rises expected in the future. How do you think future rises will impact you? Is there anything you are planning to do to mitigate the impact they may have? Feel free to share your thoughts in the comments part below. If you are interested in buying a new home, please do contact A & N Mortgage Services. We will help you seek a Chicago mortgage that suits your budget and will take account of issues such as rate rises.